Each teaching encounter brings a new awakening. A composition that’s been practiced to death, taught times over, recorded, retired and reviewed, can still experience a rebirth when a student embarks upon his/her individual musical journey. It’s like a parent (mentor) reliving one’s own childhood by having children. 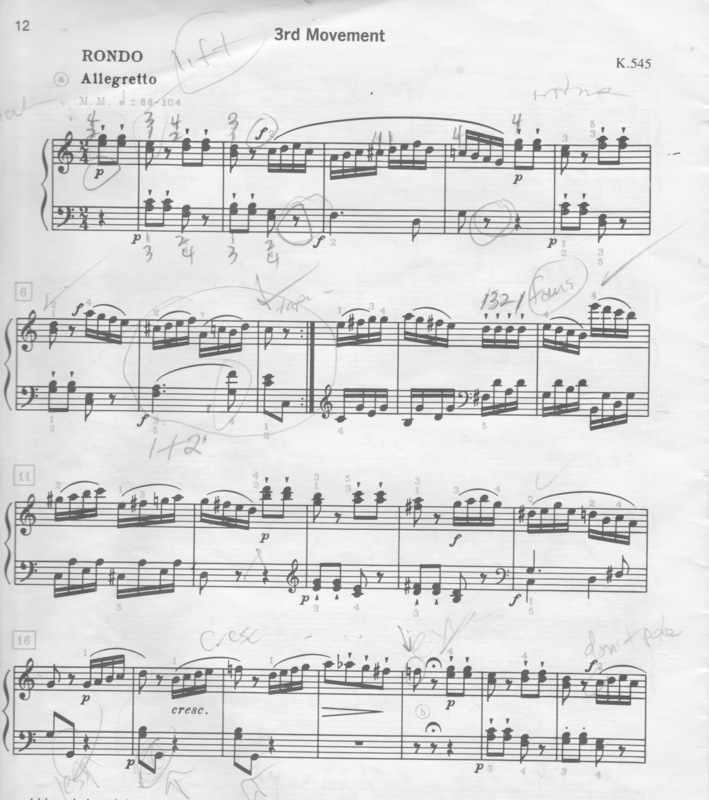 On Skype today, a pupil who had conscientiously practiced movements 1 and 2 of Mozart’s Sonata K. 545, took her maiden voyage through the first page of the Rondo: Allegretto with a bundle of probing questions that made both of us ponder structure, phrasing, harmonic rhythm, and performance practice. By measure the movement was rediscovered. Disclaimer: Pedaling choices are not set in stone.